It's early in the morning and the kids are hungry. Rather than giving them a bowl of cereal, surprise them with a platter of blueberry buttermilk waffles topped with homemade blueberry sauce. It's one treat they won't soon forget. Frozen waffles might be quick and easy for breakfast, but are nothing compared to these homemade blueberry buttermilk waffles topped with blueberry syrup. Fresh off the waffle maker, they can't be beat. Trust us on this one. Combine flour, salt, sugar and baking soda in a large bowl and set aside. In a medium bowl, combine buttermilk and egg yolks. Stir in the butter and vanilla extract and set aside. Place the egg whites in a small bowl and beat them with an electric hand mixer until they hold soft peaks. Stir the buttermilk mixture into the dry ingredients. Gently stir in the beaten egg whites until combined. Brush the waffle maker with oil and preheat. Once it is ready, add the batter according to the manufacturer's directions and cook until the waffle maker indicates they are ready, or until they reach your desired color. Serve immediately with toppings of your choice including blueberry syrup or place in an oven set to 300 degrees F until ready to serve. Add blueberries, water, sugar and lemon juice to a small saucepan over medium heat and bring to a slow boil, stirring frequently. In a small bowl, combine the cornstarch and cold water until thoroughly mixed together. Slowly and gently stir the cornstarch into the blueberry mixture. Try not to pop or crush any of the blueberries while stirring. Continue to cook the blueberry syrup until it is thick enough to coat the back of a metal spoon. 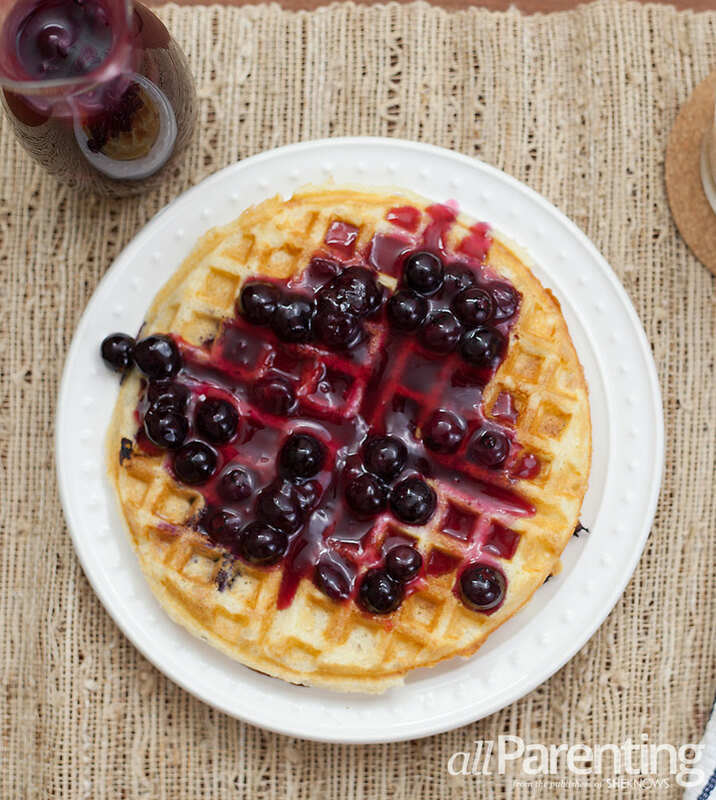 Remove from heat, let cool for a few minutes and then use on top of your blueberry buttermilk waffles. 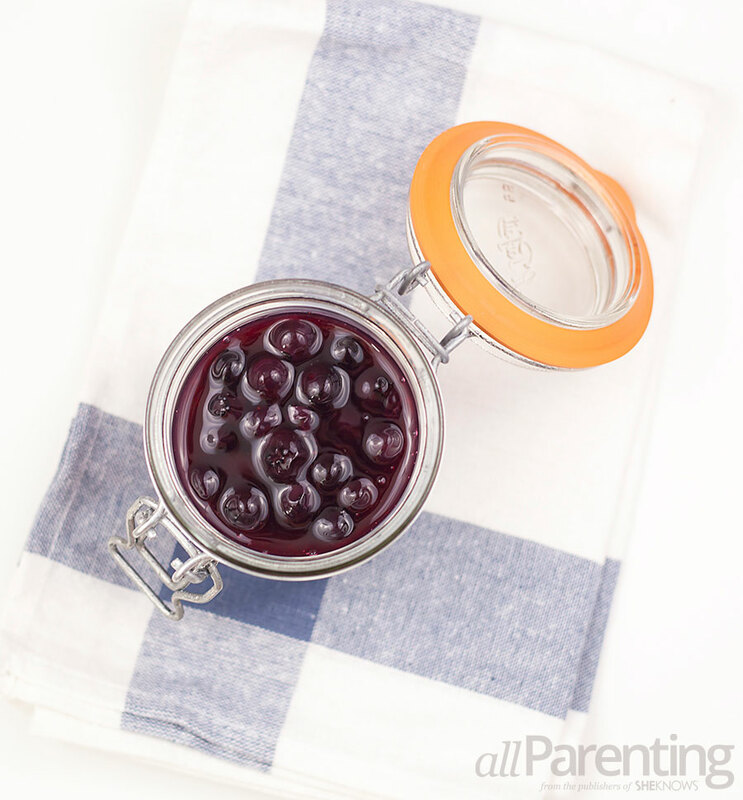 Store leftover blueberry syrup in a glass jar in the refrigerator.